GM has invested to transfer Opel Mokka production to Spain from Korea. GENEVA (Reuters) -- While southern Europe is experiencing at best a patchy economic recovery, the outlook for the region's carmakers is a little less bumpy thanks to the weak euro, cheaper oil and labor reforms. At the Geneva auto show this week, industry executives warned against over optimism about what might yet be temporary windfalls for Italy, Spain and Portugal, where a six-year slump brought sales to their lowest levels in decades. Nevertheless, sales are growing, and some are confident the industry can slowly raise output, fill underused plants and even move production to southern Europe from plants elsewhere. Italy is struggling to recover from its longest postwar recession but statistics office Istat forecasts gross domestic product will rise 0.1 percent in the first quarter in what would be the first increase since mid-2011. Fiat Chrysler Automobiles has given hundreds of workers in Italy permanent jobs and promised this week to hire more people as new models, including the start of a rejuvenated Alfa Romeo range, go into production later this year. Even FCA's usually cautious CEO Sergio Marchionne, who declared in January that the group "is no longer bleeding" after years of losses in Europe, said in Geneva that while "not phenomenal," the market recovery in the region appeared to be permanent. Some factors are going in FCA's favor: Italy recently revamped its labor rules, allowing firms to hire workers on more flexible contracts, as it tries to bring down unemployment, which among young people is more than 40 percent. Also, oil prices fell sharply just as FCA pushed to sell more SUVs that have relatively high fuel consumption. The company should likewise benefit from the euro's 26 percent fall against the dollar since last May when its Italian-made Jeep Renegade goes on sale in the United States later this month. About 3,000 Renegades will be shipped to North America each week, Marchionne said, as he hopes to capitalize on the popularity of the fast-growing subcompact crossover segment. Research group IHS Automotive estimates 43 percent of all Renegade sales this year will be in the United States. FCA's Melfi plant in southern Italy, where the Renegade and the Fiat 500X crossover are produced, is working around the clock almost all week. "It's unprecedented that an Italian plant would be working at 20 shifts a week," Marchionne said. "There is demand now ... these moments need to be taken advantage of." Marchionne's wishes for the euro, which in the European afternoon on Wednesday was at an 11-year low around $1.1080, are close to fulfillment. "The euro weakness is helping; these levels are decent," the CEO said on Tuesday, adding that a euro at $1.10 would be "a dream." Some of the currency boost will be offset as FCA also sells U.S.-made vehicles in Europe. However, the company, which still relies on North America for more than half its profits, will also gain by converting dollars from U.S. sales into euros for reporting purposes, analysts said. Other manufacturers are also stepping up production in southern Europe. Last month, Ford Motor Co. announced the final part of a 2.3 billion euro ($2.6 billion) expansion of its Spanish operations to boost capacity to 450,000 vehicles a year. The investments will allow Ford to build six different model lines, up from four now, and expand exports outside Europe, including shipments of Transit Connect compact vans to the United States, a company spokesman said. 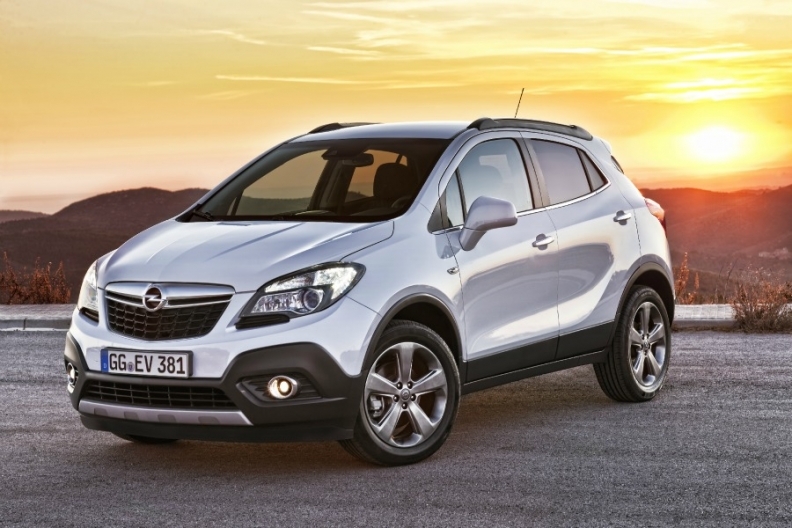 In September, General Motors started making the Opel Mokka subcompact SUV in Europe. Opel invested 210 million euros to upgrade its plant in Zaragoza, Spain, to make the Mokka, which so far has been built in South Korea. In France -- which has more in common with Mediterranean markets and demand patterns than with its big northern neighbors, Germany and the UK -- Renault has promised to increase domestic output by at least a third between 2014 and the end of next year in return for a deal with unions that helped it to cut costs. It also promised 1,000 new hires in France for this year. Domestic sales in Italy, Spain and France have been rising in recent months but remain far below pre-crisis peaks. Also, double-digit increases in Spain for 13 consecutive months have relied heavily on a government scheme that offers price cuts on new low-emission vehicles. Exports offer an alternative. About 80 percent of Ford's output in Spain is destined for foreign markets. FCA expects at least 40 percent of its European production to be shipped abroad once it makes good on its promise to use all assembly lines fully by 2018. Launching new cars in the right segment also helps. "We refuse to invest in unprofitable ventures," Marchionne said. "If you look at the relevance of SUVs and CUVs in the European market ... that dynamic has completely changed. It's created the possibility to launch the 500X and the Jeep Renegade in this market and open production on the European side.